Rewards Canada: March 20 Update: Our global bonus miles blog moves to Boarding Area, we add Singapore Airlines as a partner & more! 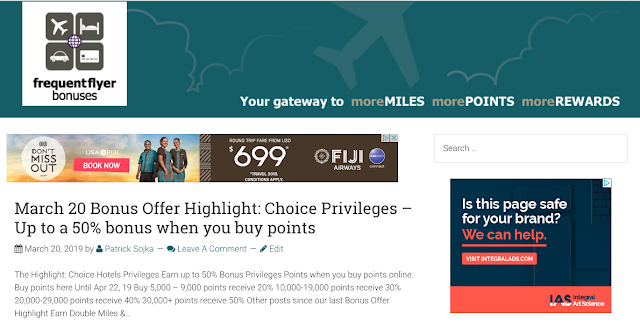 March 20 Update: Our global bonus miles blog moves to Boarding Area, we add Singapore Airlines as a partner & more! Many of you know we run a global points and miles website Frequent Flyer Bonuses which you can find at FrequentFlyerBonuses.com. Much like Rewards Canada there is a main site and the blog, the latter of which is used to provide news, updates on the latest bonuses, time limited offers etc. Well the blog officially moved today to Boarding Area. If you are not aware of Boarding Area it is the go to source for points and miles blogs from around the world. Some of the biggest blogs out there are on Boarding Area and for the FFB blog, we feel it is the perfect fit since Boarding Area is global, has a global audience and FFB is global. In fact we don't know of any other site or blog that covers loyalty promotions from as many programs around the world as FFB! Check out the blog today! We're also excited about our newest travel booking partner - Singapore Airlines! 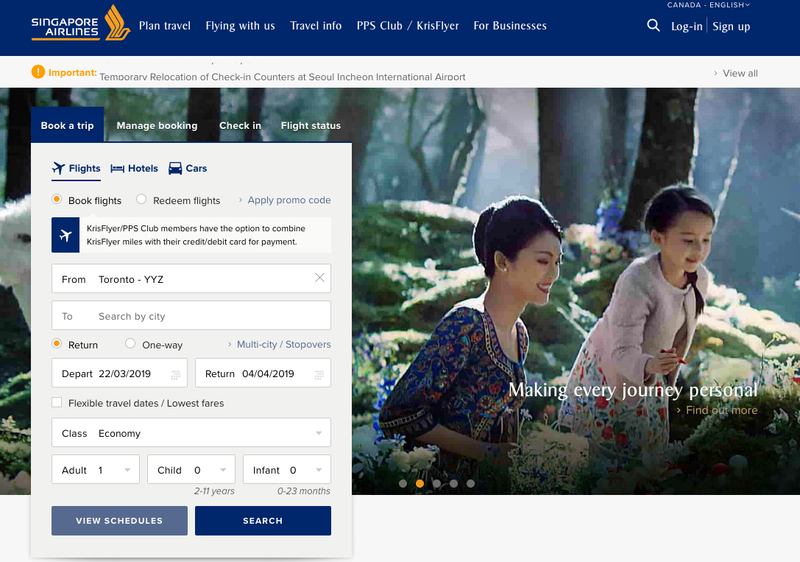 You can now book Singapore Airlines as a partner of Rewards Canada. Any bookings you make are directly with Singapore Airlines any thet are attributed to Rewards Canada. You can book your Singapore Airlines flights here or via our Book Travel page! Avis Spring Sale - Save up to 30% on Avis Rentals Worldwide until March 31 Find out more here.